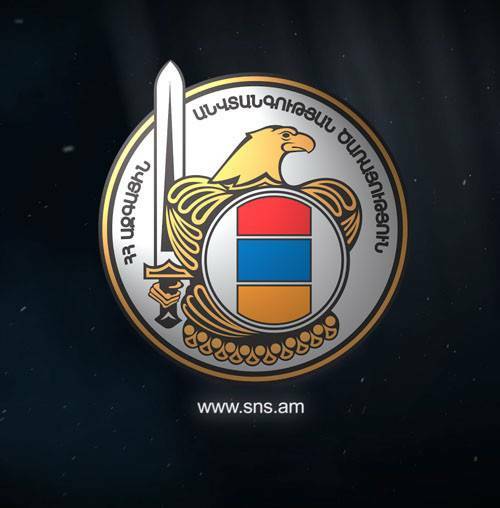 National Security Service of the Republic of Armenia in exercising its functions based on the rules of international law and domestic legislation, pursuing consistent fight against economic security, as a result of large-scale investigative actions and operative-intelligence measures conducted under the criminal case being investigated in the Investigation Department, has revealed criminal cases of evasion of taxesof particularly large amount, as well as legalization of the income derived from criminal activity, and the son of the RA second President Robert Kocharyan –Sedrak Kocharyan, has beenof direct relevance to its organization. According to the factual data confirmed in the criminal case, the latter organized and lead the process of particularly large scaledtax evasion through entering false data into the taxationbasedcalculation of the responsible employees of one of the Ltd. Companiesfounded by him. Afterwards with a view to falsifying the source of the unpaid tax to the State budgetand the real nature of the particularly large scaledcriminal proceeds, legalized them by means of a number of bank transfers and acquisition of property. In particular, for the purpose of receiving 5.300.000 USD donation (its origin is subject to a separate legal assessment)that was invested in oneof the economic entities of аthird person, Sedrak Kocharyan, through fake transactions, initiated the formalization of the money in the name of the company founded by him, as well as the receiving of the said money through that company. Trying to avoid the resulting tax liabilities, the latter instructed the director of the aforesaid Ltd. Company to conclude two fake donation contracts and give accounting formulation to them, as a result of which 5.300.000 USD was finallytransferred to the private account of Sedrak Kocharyan as a refund of the loan amount. At the same time the director of the mentioned company established by Kocharyan was responsible for keeping and transferring to the State Budget of RA the income tax from the amount received by Sedrak Kocharyan from a third party as a revenue, at no cost, but he, violating legislative requirements and under the leadership and coordination of Sedrak Kocharyan entered false data in the summary calculations on the basis of which company taxation is conducted in order to decrease the amount of income tax that should have been paid to the State Budget of RA, so as a result of this activity he didn't pay taxes of particularly large amount, 916,706,560 AMD (1.968.627.338 AMD with fines and penalties included). Then Sedrak Kocharyan in order to distort the real nature and source of tax amount (not paid to the State Budget) of the criminally obtained income of particularly large amount by conducting a number of transactions between companies interrelated to him and his other family members, as well as aiming to invest this money into the legal circulation, mixed this money with 5.681.960 USD that was on his account and legitimized it through a number of bank transfers, converts and directing this incomes to obtain Best Western Congress Hotel. Based on a set of trustworthy and interrelated evidence Sedrak Robert Kocharyan was charged under Paragraph 2, Article 38-205 and Point 1, Paragraph 3, Article 190 of the RA Criminal Code (Organization of the tax evasion, in particularly large amount, Legalization of illegally obtained income of particularly large amount). Alexan Samson Vorskanyan, the director of the company established by Kocharyan, was charged under Paragraph 2, Article 205 of the RA Criminal Code and he pleaded guilty. Signed undertaking not to leave place of residence has been selected as a measure of restraint against them. Extensive investigative measures are being conducted to determine the legаlity of acquisition of real estate properties and other assets that belong to Sedrak Kocharyan and to the members of his family.